The author of Kazan State University anatomy theatre building was architect P.Korinfsky. 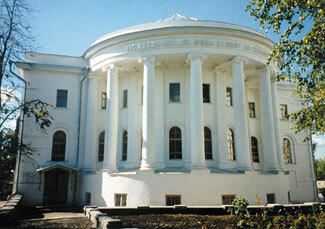 Anatomy theatre was built in 1837-1838 and is a notable building of Kazan State University complex. The edifice of the anatomy theatre is grand neo-classical with Ionic colonnade. Kazan State University anatomy theatre is closely connected to brilliant Russian scientists: physicians R.Aristov and P.Lesgaft. The address is: Russia Kazan city Kremlin Str. 18. 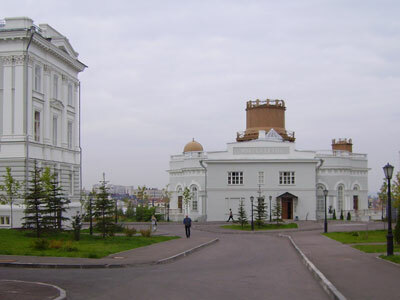 Kazan State University observatory is another worth seeing building. It was designed by architect P.Korinfsky too. The telescope for the observatory was purchased by first and most famous rector of Kazan State University Lobachevsky and it is still in use. The brilliant astronomer I. M. Simonov worked in Kazan State University observatory. 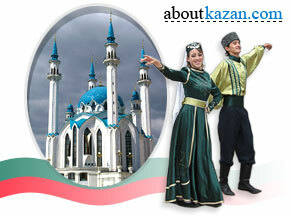 The address is the same: Russia Kazan city Kremlin Str. 18.